Yesterday was one of the most perfect days weather-wise. The sunshine warmed while the temperature remained cool enough for comfort. My sister Julia and I have been scheming for weeks to plan a berry-picking day in the country. In pursuit of black currants, we met up at Paradis des Fruits, where I picked 5 pounds of the little black beauties. The growing season is very short. If you leave home now, you may still have time to pick your own black currants. You know you’re going to crave your very own Black Currant Vodka and Black Currant Jam — to be featured in the upcoming recipe2recipe post. Black Currant Vodka takes minutes to throw together but months to steep. 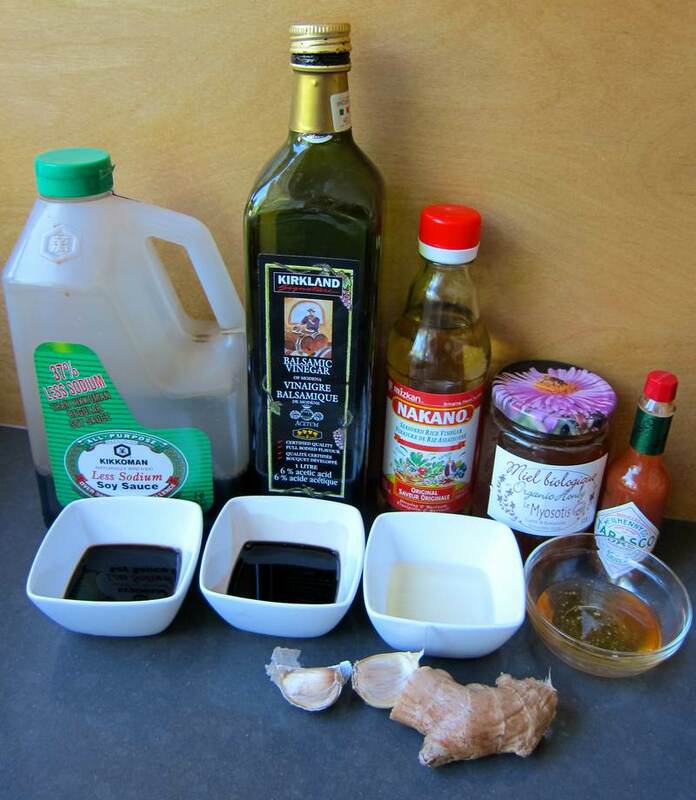 In the meantime, here is an easy marinade that will turn your BBQ turkey into a gourmet meal. 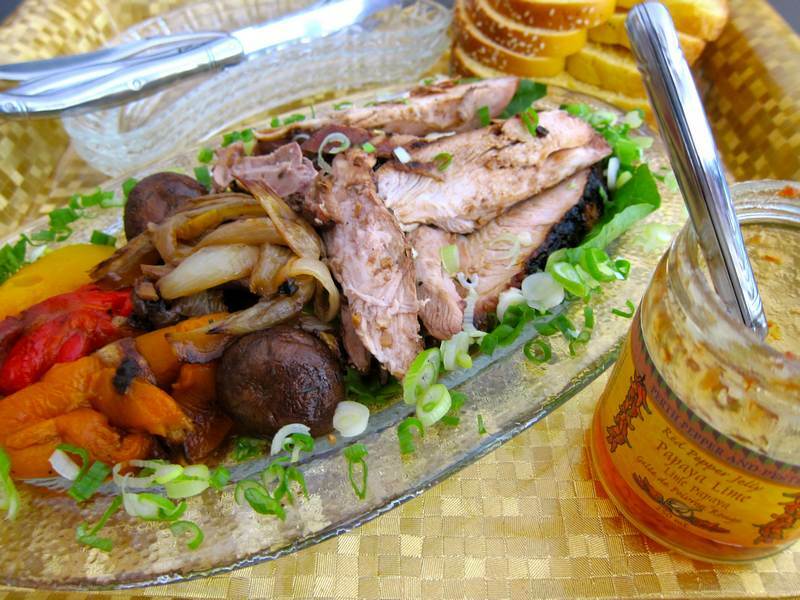 Cook on the Barbeque: If grilling on the BBQ, reserve about one-third of the marinade to use for basting. 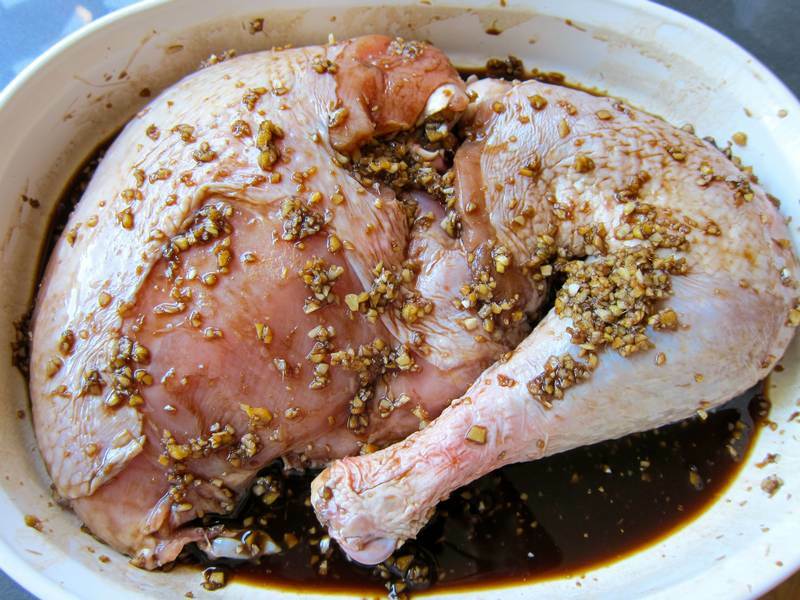 Marinate the turkey in a shallow, covered casserole, in the refrigerator, in two-thirds of the marinade, for 8 hours. Grill on medium high. Baste turkey with reserved marinade. Cook flipping once or twice until meat thermometer reaches 165F. Let turkey rest for 10 minutes before slicing against the grain. Roast in the oven: If cooking in the oven, add turkey to all the marinade in a shallow casserole. Marinate covered in the refrigerator for 8 hours. Roast turkey at 420F in the same shallow casserole with all the marinade. Cook bone side up flipping once and basting with the marinade that has thickened on the bottom of the casserole. After 15 minutes, turn the oven down to 380F, and continue cooking until meat thermometer reaches 165F. If skin begins to burn, cover with a loose tinfoil tent. Let turkey rest for 10 minutes before slicing against the grain. Combine olive oil with salt, pepper and thyme. Brush onion and mushrooms with oil mixture. Roast for about 30 minutes until softened and lightly charred. Remove stem, peel and seeds from peppers. 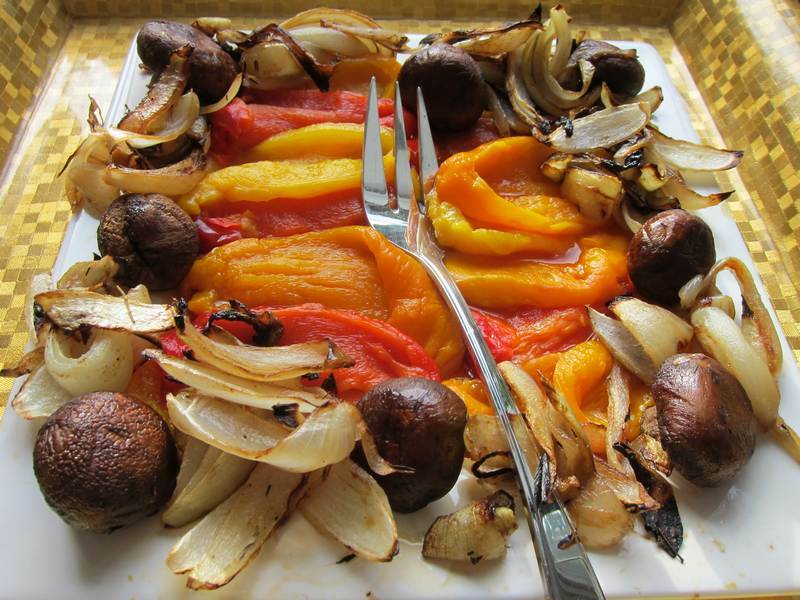 Arrange vegetables on a platter. Thanks to food blog Meemos Kitchen for inspiring my turkey cooking ambitions. Check out this primer on turkey meat. Do you know any turkey nutrition facts? You may serve baked sweet potato or roasted new potatoes to complement the grilled turkey. The marinade really permeates into the turkey meat. Leftovers were delicious cold. I am thrilled to have my very first kitchen gadget digital thermometer from the BBQ prize pack–pictured below. 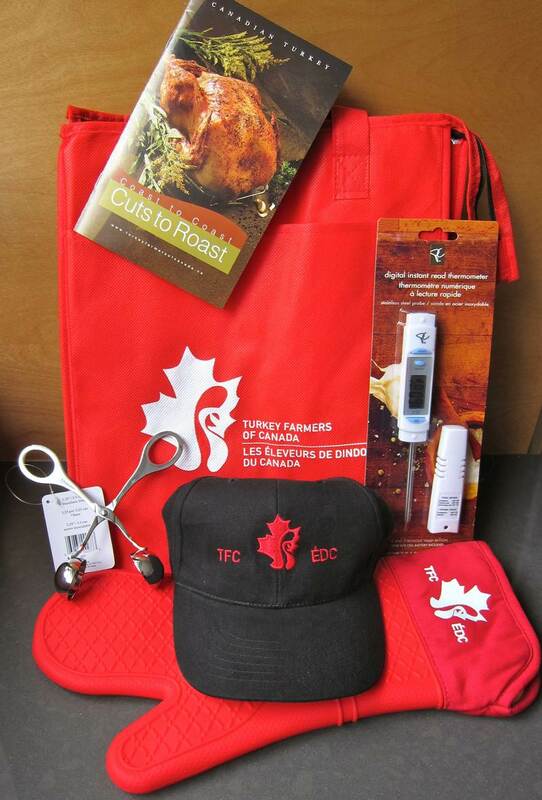 Send me your favorite recipes to share ([email protected]) to enter in the draw to win your very own BBQ prize pack.